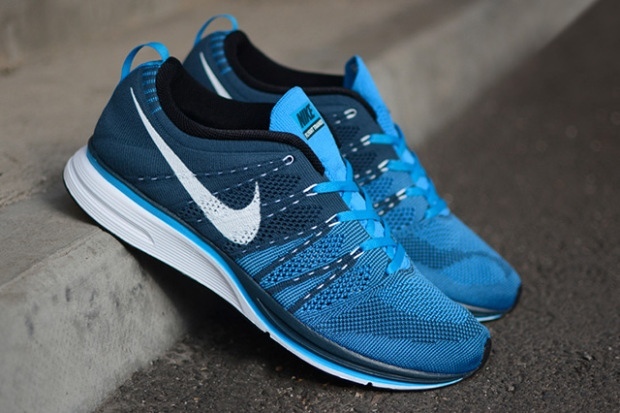 After recently taking the Squadron Blue hue and pairing it with flash pink on a pair of the Flyknit Trainer+, Nike combines that old blue with another blue – Blue Blue – on the original Flyknit-featured runner. The blue-on-blue color scheme also features white details on its Swoosh and midsole, as well as the integration of black on its lining, midsole, and outsole. This super lightweight model is currently available through HANON for £129 GBP (approximately $196 USD).